The islands of Busuanga, home of famous Coron, render sensory experiences that leave us enthralled. Its pristine, unadulterated islands embody a paradise, its behemoth limestone formations resemble glorious castles, and its diverse underwater life transports you to a whole new world! Lois: Shipwreck-diving - When exploring Coron, you can create an itinerary dedicated entirely to wreck-diving as the island harbors not one, not two but about ten shipwrecks from WWII. And there are a a couple of sites you can free-dive just as Lois did. 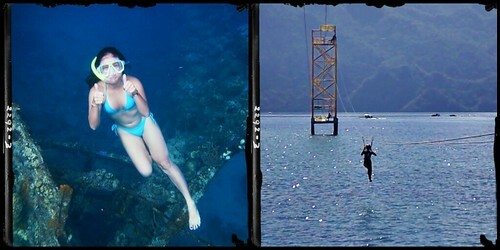 Madz: Ziplining - If you get tired going under water, there's another way to sight-see Coron, which is thru ziplining. Located at the recently opened Floating Restaurant in Lualhati Park, the zipline is another fun option to get a panoramic view of the surrounding islands and Mt. Tapyas. Isn't extra appetizing to eat in the midst of picturesque scenery? 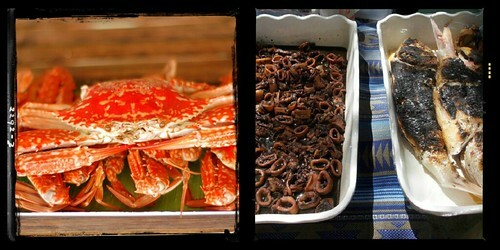 In Coron, you don't only feast your eyes, you also literally feast on fresh produce and catch of the day! Lois: Our friendly tour guides made sure we get the best out of our tour - from taking enough pictures everywhere we went (over and under water), to setting up the table neatly and ensuring all the dishes were served before our group lunch (because one of our guides is O.C. like that, haha!). Madz: The accommodating staff of Coron Ecolodge and Floating Restaurant and Zipline ensured our stay in Coron was hassle-free and enjoyable. What do you love about Coron and what makes you want to go (or go back) to this mystical beauty? We'd like to hear your thoughts! Share in the comments below. 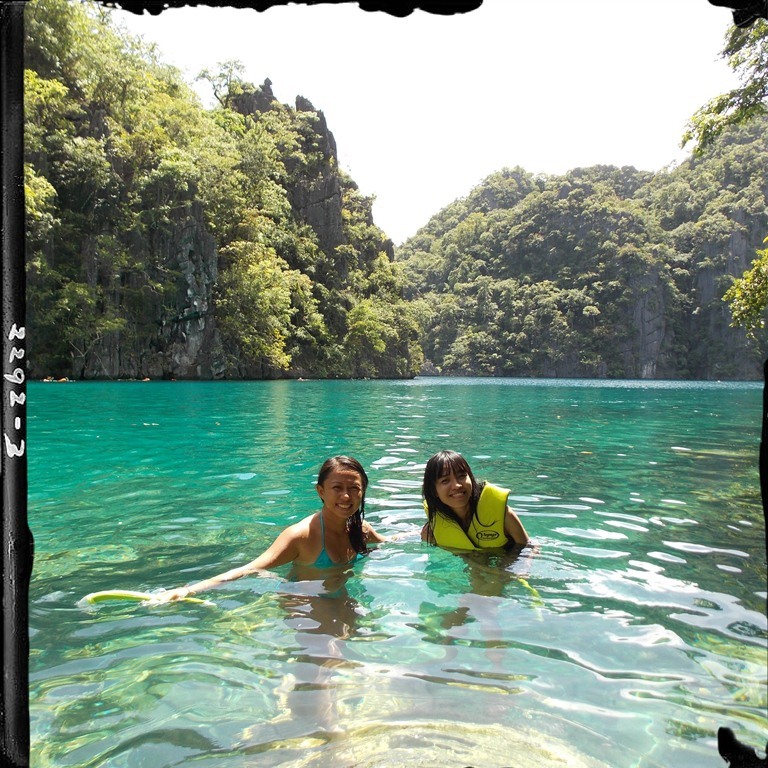 A very special thanks to our travel partner, Coron Ecolodge, for this trip! 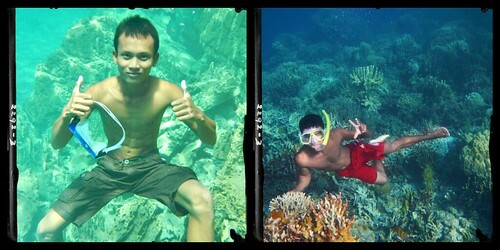 For Coron tours and accommodation, visit: http://www.coronecolodge.com/ and LIKE it on Facebook. Speaking of food, we had mango shake overload during our stay there. Did you know that you could get a huge, creamy glass of mango shake for only P30 at the public market? Winner! Absolutely beautiful paradise islands and the people too! Hey thanks Nomadic Traveller! Yes, that's the skeleton wreck of a ship. We didn't see any sharks though.